To prepare sauce, heat a Dutch oven over medium-high heat. Add oil; swirl to coat. Add 1 cup chopped onion, 5 garlic cloves, and basil to pan; cook 4 minutes, stirring frequently. Add tomato paste; cook 1 minute, stirring constantly. Stir in wine; cook 2 minutes. Add tomatoes and sugar; bring to a boil. Reduce heat, and simmer 25 minutes or until thickened, stirring occasionally. Stir in 1/2 teaspoon salt and 1/4 teaspoon pepper. 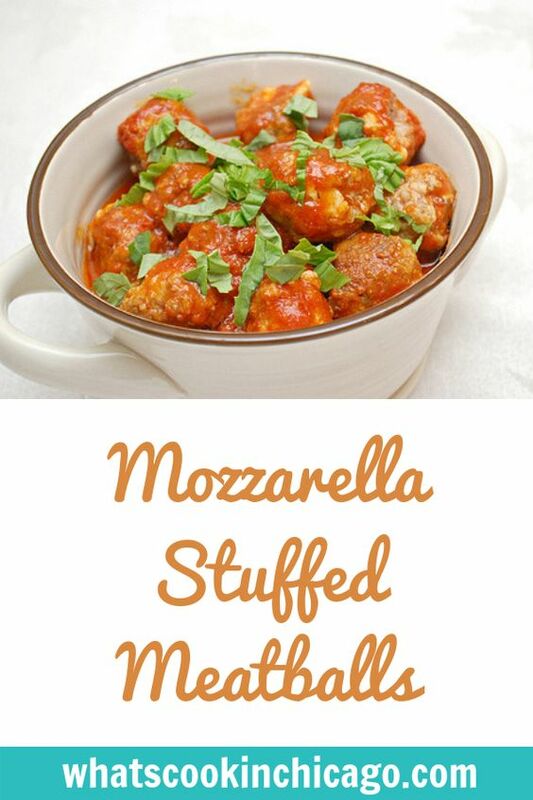 To prepare meatballs, place all meatball ingredients in a large bowl; stir until combined. 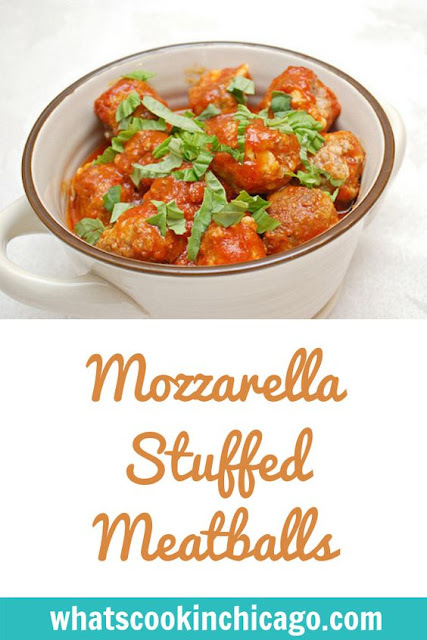 Shape into meatballs (about 2 tablespoons each), tucking in a piece of mozzarella inside while ensuring it is completely enclosed. Arrange meatballs on prepared pans and bake at 450° for 15 minutes. 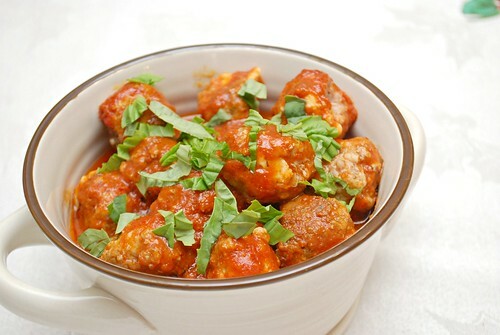 Remove oven from pan and add meatballs to tomato sauce; simmer 10 minutes, stirring occasionally. Garnish with fresh basil before serving if desired.